With the myriad variety, designs and brands of strollers available in the market these days, choosing the right stroller for your precious cargo can be a bit confusing. 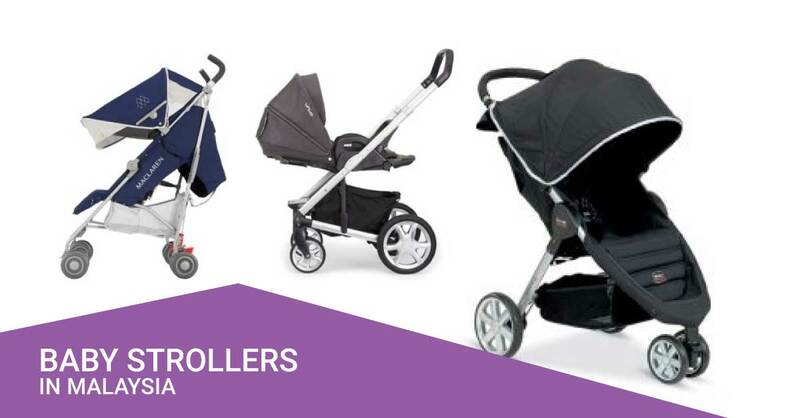 But fret not, here are our top choices of strollers that you can have delivered right to your doorstep! Maclaren has always been a favourite among parents as a durable stroller with a trusted brand name. The Quest range of strollers has four reclining positions and is fully reclinable, making it suitable for infants and toddlers up to 55 lbs. The sun canopy that comes with this stroller is extendable & provides UV protection during sunny days out. It has a secure umbrella fold mechanism, so it opens and closes easily and at slightly over 12 pounds, is light and compact enough to bring it along for a fun day out with baby! The Nuna Mixx is a full-sized, robust yet trendy stroller with detachable, fully reclinable and reversible one-piece seat that takes the place of a bassinet. On top of that, the seat comes with an adapter for the Nuna Pipa Infant Car Seat. It has top-quality suspensions and large wheels to handle any terrain and a sun canopy to provide full coverage. The under-seat basket provides storage big enough to fit 2 large diaper bags. It easily folds flat with the seat attached and automatically locks closed for easy storage. This tandem stroller system has 16 different options to configure the detachable seats. It grows with your family and can be used with just one or two seats attached and can even fit a baby jogger glider board (sold separately) for older siblings of up to 45 lbs (approximately 20.4kg). The full coverage UB50 sun canopy protects your baby from the harsh sun. It comes with a safe 5-point harness which can also be converted to a 3-point harness for convenience when your baby grows bigger. There is a convenient hand-break system on the side and a spacious under-basket to carry diaper bags and necessities. This an all-terrain stroller is perfect for a nice jog or a walk out in the park at a price that is hard to beat! It has a lightweight steel frame and rolls on 3 large air-filled bicycle wheels which provides a maneuverability and smoothness that surpasses other non-terrain strollers. This stroller also has a fully adjustable 5-point harness and a multiple-position reclining seat for comfort. This stroller features a parent tray with a covered compartment storage for keys and phones and includes two cup holders for convenience. The Britax B-Agile Stroller has a lightweight aluminium frame with puncture-proof wheels with built-in suspensions on all wheels; to provide a comfortable ride over pavements, roads, and curbs. It is easy to manoeuvre as the 3-wheel configuration provides an ultra-small turning radius, which gives you the freedom to glide through tight spaces and corners. The stroller has a one-hand fold design with height adjustable shoulder straps. The seat is also reclinable and removable. The B-Agile is compatible with any Britax car seats or most major infant car seats with the use of adapters (sold separately). This stroller is perfect for parents who haven’t lost their wanderlust and want to bring along their little one for the adventure! GB Pockit+ is one of the smallest and lightweight foldable stroller you can find, it even fits in the overhead luggage compartments of planes and trains. Suitable for children ages from 6 months with a maximum weight capacity of 33 lbs, it comes with a comfortable strap adjustable reclining seat that is easily removable and washable. The sturdy and compact design gives you manoeuvrability when you are out and about making it a breeze to weave between crowds and tight spaces.